Cocktails	January 14, 2015 No Comments. 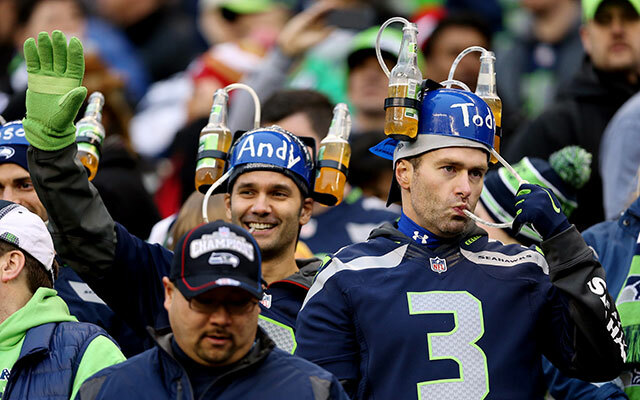 The Playoffs are one of our favorite excuses to get wasted. With 4 teams left, we have to fit a weekend’s worth of football drinking into just two games. A pretty serious challenge that we’re willing to take on with the help of these team-inspired cocktails. You may not be able to throw like Luck after a few of these, but at least you won’t look like him. You’ll understand why he has trouble keeping his pants on after you down this one. Shake until the color dissolves and strain over ice. It’s basically just flavored vodka, but we aren’t complaining. Goes great with a Wisconsin cheese plate.